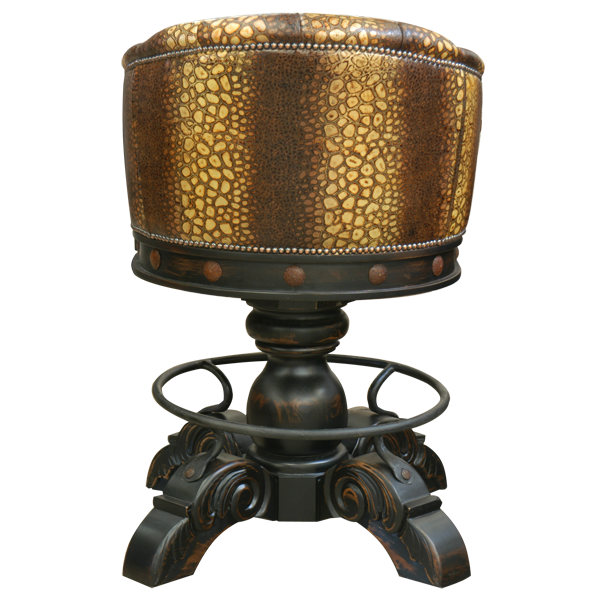 In this very creative design the seat of the bar stool is combined with simulated snakeskin leather and a rich dark leather to create a beautiful design. The cushion of the seat is covered with the same rich, dark, solid colored leather, and the combinations are wonderful. The seat is finely upholstered with elegant leather and hand tacked around the entire body, and button tufted in the seatback central section. The bar stool is very comfortable due to the horseshoe shape design of the seat. The finished body frame is solid and decorated with a hand-carved leaf motif in the armrest. 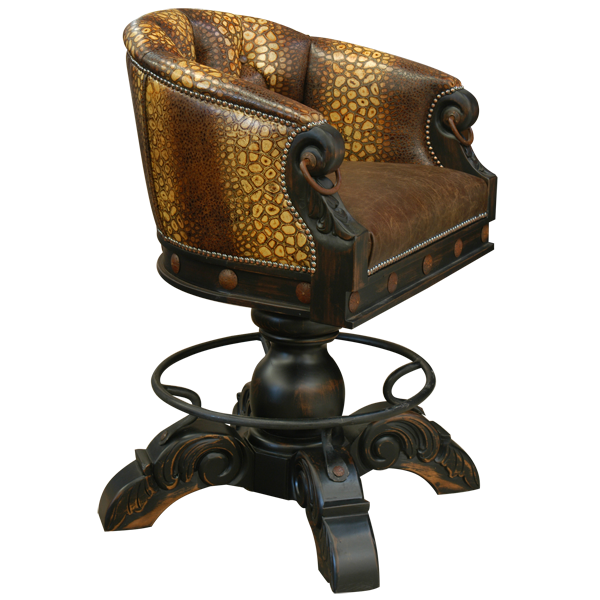 The armrest are also decorated with hand forged iron rings, and the lower body of the seat is decorated with hand forged iron conchos. 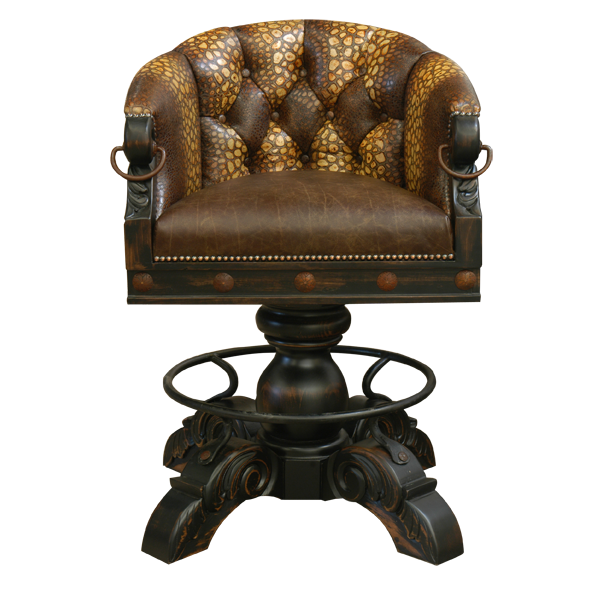 The entire seat is resting on a wooden turned trumpet pedestal that is supported by four hand-carved wooden feet, joined by a hand forged circular footrest. This marvelous bar stool swivels 180° and is 100% customizable.